My daughter is part of the 'Oberek Dance Ensemble', which is based in Hobart, Tasmania. 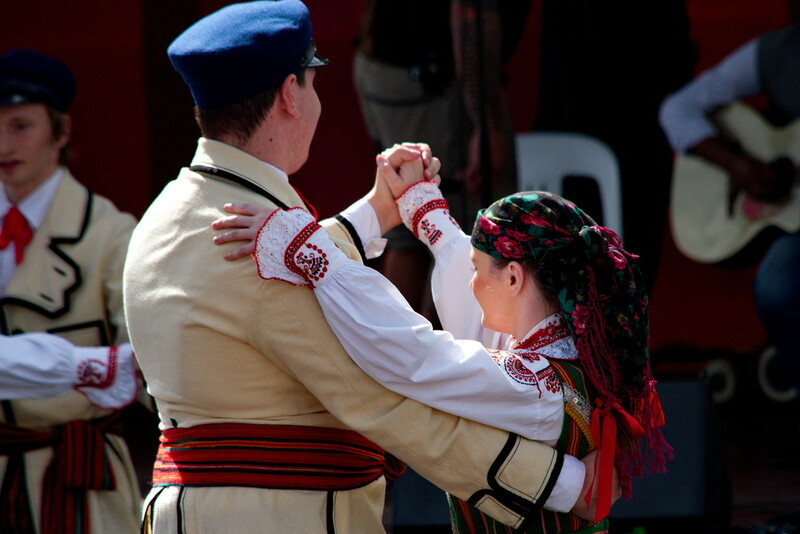 It is the oldest running Polish Dance Ensemble in Australia. Today members from 'Oberek' performed at the 'Moonah Taste of the World Festival'. This festival showcases culturally diverse foods, dancing, singing, live performances and entertainment. Every year 'Oberek' performs at this festival and shares a little of our Polish culture with others. Here are some photos of my daughter dancing today.